Eleanor Collins was a singing star on the CBC Radio and Television in the l950’s and l960’s and and played a principal role in the pioneering of jazz in British Columbia. Born in l9l9 in Edmonton, Eleanor is the descendant of parents who were a part of the migration of Black settlers from Oklahoma who responded to the Canadian government’s promotion to settle the prairies in l9l0. At the age of l5, gifted with a keen musical ear, she won a talent competition, which eventually spurred a move to Vancouver in l938 where she settled to commence a career and raise a family. She was always considered a consummate artist and professional and despite many international offers by leading musicians of the day, Eleanor chose to remain in Canada and break new ground as the first artist of colour in North America to host her own national weekly television show – The Eleanor Show – at the CBC. Her outstanding musical and dramatic talent served as a wellspring for countless productions which fostered the creative development of some of the finest producers, directors, writers, technicians and musical talent in the country. 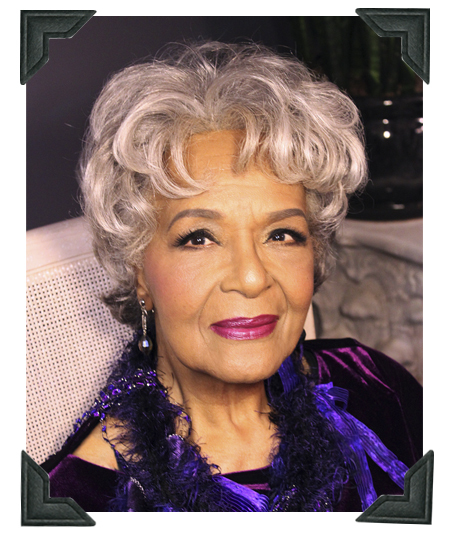 And, because of her high visibility on pre-cable television and media she had a positive impact on the wider community by helping to break down barriers and open doors for future artists of diverse backgrounds. Still vibrant at 94 years old this woman deserves to not be overlooked as a local and national treasure. Find out more about this remarkable woman here!